Yaroslav Baibordin (Rus Ярослав Байбордин) as The Jester. Swan Lake, music by Pyotr Tchaikovsky, choreography by Marius Petipa and Lev Ivanov, revised by Konstantin Sergeyev. Set designer Igor Ivanov, costumes by Galina Solovyova. Shot on 4.11.2015 in Mariinsky Theatre New Scene. 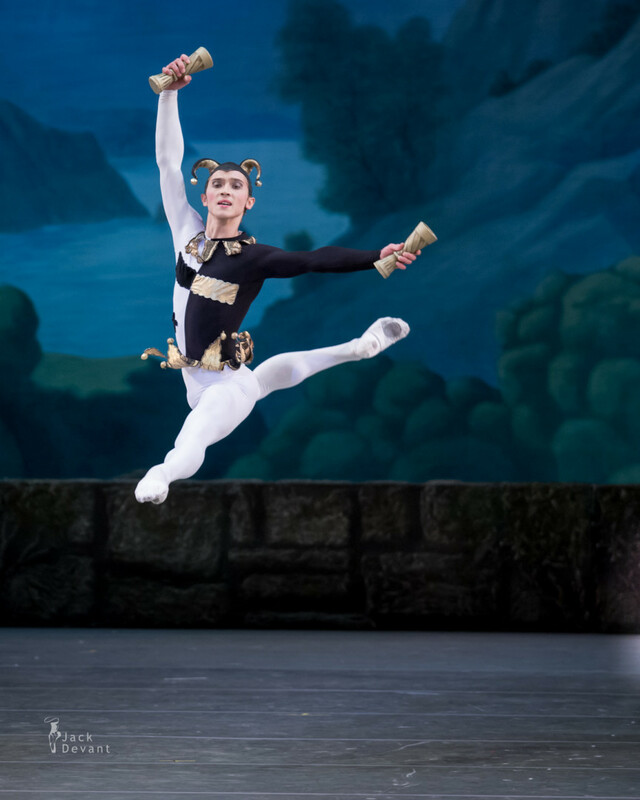 Yaroslav Baibordin (Rus Ярослав Байбордин) is currently with Mariinsky Ballet. He was born in Beloretsk (Republic of Bashkortostan). Trained at the Bashkirian Nureyev College of Dance, graduating from the Vaganova Academy of Russian Ballet in 2012. 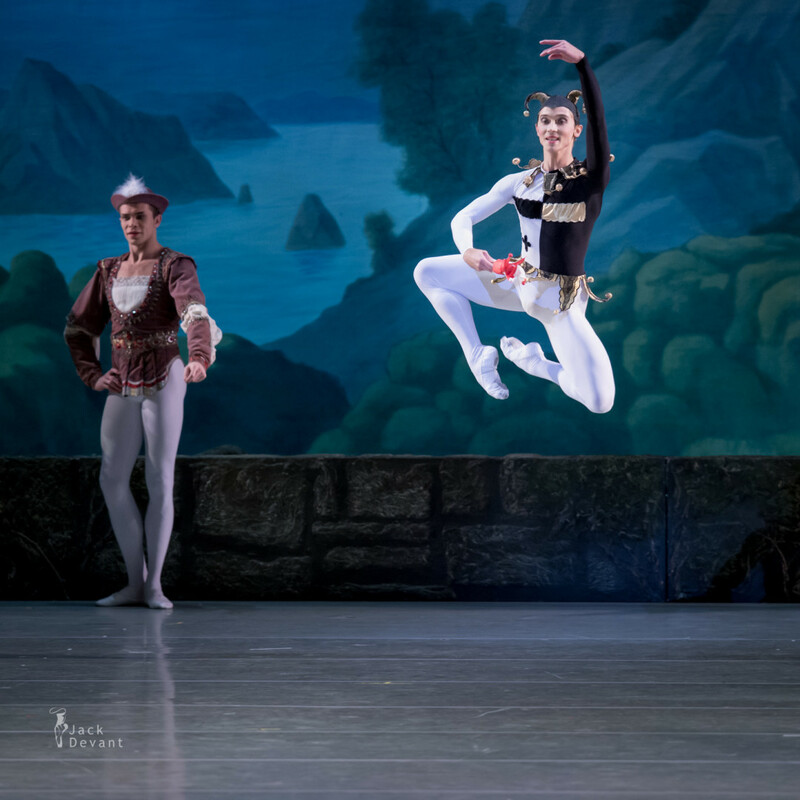 Performed at the Mikhailovsky Theatre from 2012-2013; appeared in Nacho Duato’s ballets Invisible and Romeo and Juliet (Harlequins). Joined the Mariinsky Ballet in 2013.